Judd and Manny start things off with the Opening Bell, and the biggest story of the day; Jimmy Butler's reported trade request from the Timberwolves. Jon Krawczynski of The Athletic and Darren Doogie Wolfson also join this hour with their perspectives on the news. 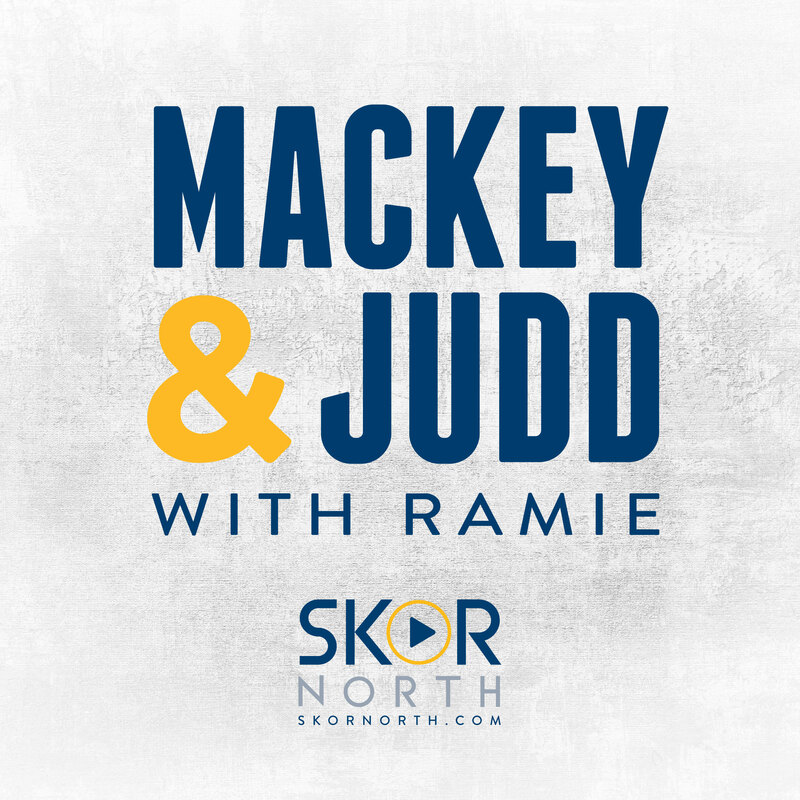 The fellas kick off the show with Vikings draft speculation; Jayson Stark joins to talk Twins and baseball and Ramie has a new hashtag #RobotUmpires. Ramie kicks off the hour 2 with a discussion Karl-Anthony Towns' happiness and how the Timberwolves should approach it; In Other News and wrap with Reusse. How did Lou Nanne feel about the 5-minute cross-checking penalty that helped put an end to Vegas' season in San Jose on Tuesday night in Game 7? The former North Stars general manager doesn't hold back and weighs in on whether instant replay should become an option in handing out major penalties. Louie also discusses why Charlie Coyle played such a big role for the Bruins in the playoffs and gives his second-round playoff picks. Are the Twins with the times in baseball? We're joined by Roy Smalley for our weekly conversation. We wrap the first hour talking about innovative front offices and why the Twins are heading there. Judd's Hockey Show returns to full strength as Lindsey is back from Las Vegas where she was "partying" with the locals and explains how much the city loves their hockey team; Martin Jones resurrection; The playoffs being successful; What to make of hockey fights and the league's problem addressing it; Reviewing our first-round predictions and predicting NHL award winners. When is it time to get excited about the Twins?